The aim of the manual is to benchmark the term and the idea of Greentrepreunership. It is meant for young people, motivated to be and act green. 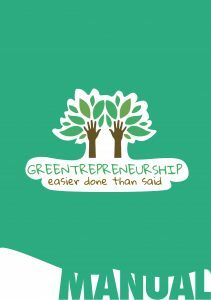 The manual does not aspire to be a comprehensive volume on all the competences and knowledge that are needed to be a Greentrepreneur, it wants to present and introduce the idea and the term and especially provide vocabulary and assessment methods to determine what a green start up business is.